$10.25 NOTE: Our shopping cart is disabled. We are using it to display affiliate items which if you click on PURCHASE in the PRODUCT INFORMATION by scrolling below or click on the Amazon banner the RRDi receives a small affiliate fee upon completion of your purchase. Mahalo. Take 2 capsules daily as needed, with food. Niacin (Vitamin B-3) is an essential B-Complex vitamin. 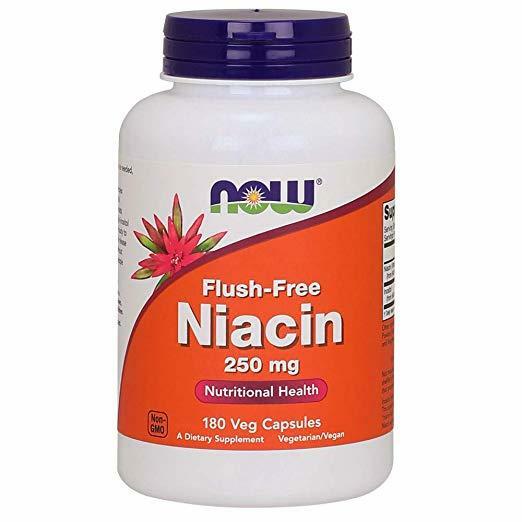 Flush-free Niacin contains Inositol Hexanicotinate, a form of Niacin that contains six molecules of niacin linked to a single inositol molecule. It is slowly broken down in the body to yield free niacin and inositol. This gradual release of Niacin allows for true Niacin activity without the characteristic Niacin flush that many people cannot tolerate. Natural color variation may occur in this product.